An occasion of networking and personal growth, to discover the excellence of the entire building supply chain, through specific paths dedicated to “strategic markets” and key themes of innovation, seismic safety, sustainability and digital transformation. A special focus about digitalization with Digital&BIM Italia Conference Labs. Date: October, 17th – 20h, 2018 Wednesday, Thursday, Friday, Saturday. 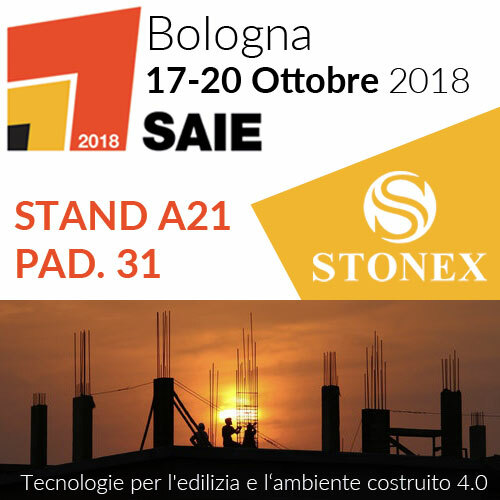 Se non riesci in questa operazione scrivici una email a marketing@stonex.it e ti invieremo un codice invito per facilitare l’operazione.